Chinoe Center welcomes its newest tenant, Fast Track Fitness. Fast Track Fitness provides personal training regimes devoted to one-on-one fitness instruction tailored specifically to individual needs. The fitness center will relocate from its current Mount Tabor Road facility and is scheduled to open its new Chinoe Center location on September 1, 2011. 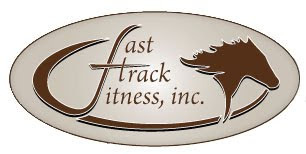 Fast Track Fitness is owned and operated by Grant Lanning, its lead personal trainer. For more information, visit ftflex.com.